Royal Mail is expected to part company with Shine and 3 Monkeys from its lucrative PR roster after a long-running pitch process. The body that handles the national postal service is understood to have provisionally selected six agencies for its new roster: M&C Saatchi PR, Citigate Dewe Rogerson, Fishburn Hedges, Blue Rubicon, Lansons and Eulogy. The roster is understood to have a budget of about £2m, despite the Royal Mail’s deteriorating financial position. It is organised into four lots: consumer PR, financial services, business-to-business and data media. The previous roster comprised Eulogy, Blue Rubicon, Shine, 3 Monkeys and Lansons for all activities. The pitch process started last May, with both Shine and 3 Monkeys taking part. Last week, PRWeek reported that the man overseeing the pitch process, Royal Mail’s group director of PR Richard Stephenson, is to leave the company within the next month with an immediate plan to take some time out. He is understood to have a number of future roles under consideration. Sources suggested he was planning to return to political comms, following a short break. 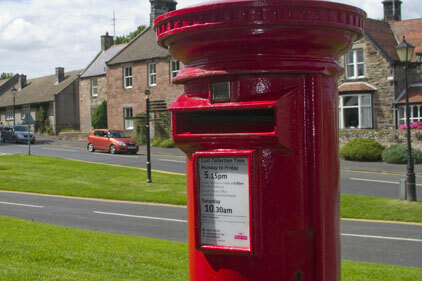 The news comes as the Department for Business, Innovation and Skills lines up a state-backed cash injection for Royal Mail to shore up its worsening finances. The news was contained in new Government business plans. The BIS plan revealed that ministers are considering injecting millions of pounds of fresh public money into the postal operator, in a move that could delay its planned privatisation. Ministers need European Union approval for the UK taxpayer to take over the company’s £8.4bn pension deficit, paving the way for privatisation. The date for a decision has now been pushed back from December 2011 to May next year.